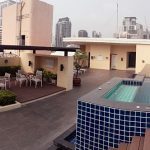 A modern, spacious and just renovated 2 bedroom condo is now available to rent at The Alcove 49, superbly located on Sukhumvit 49. 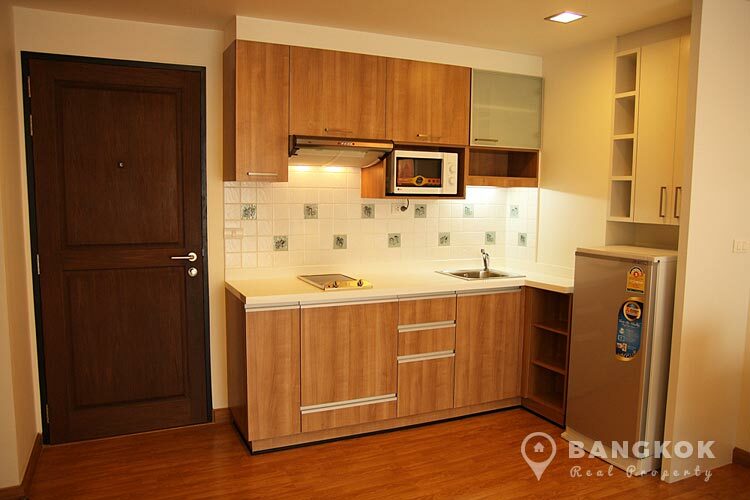 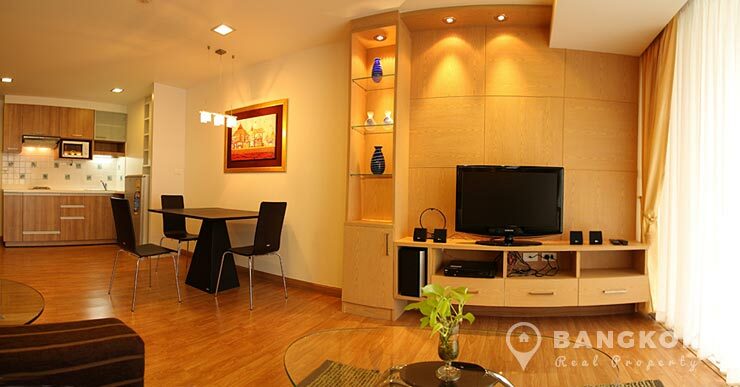 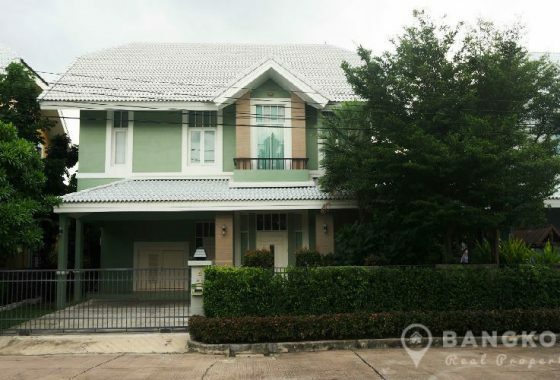 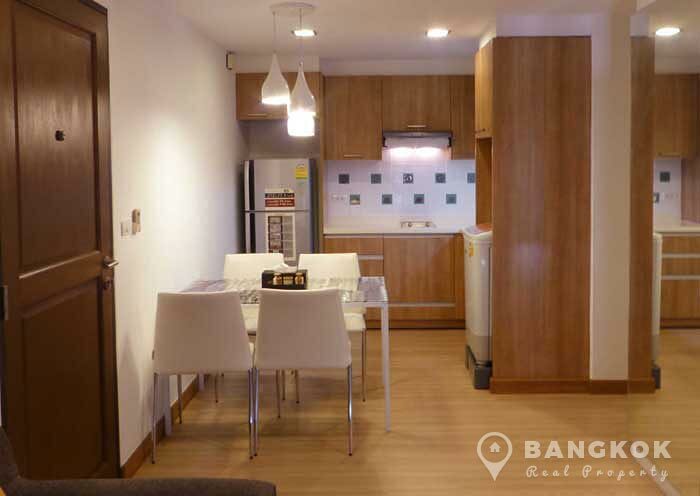 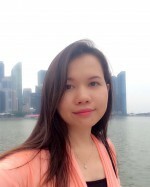 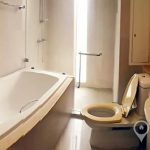 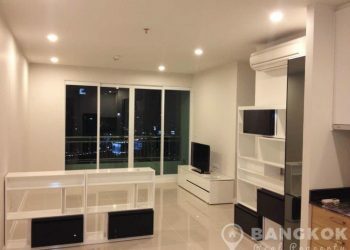 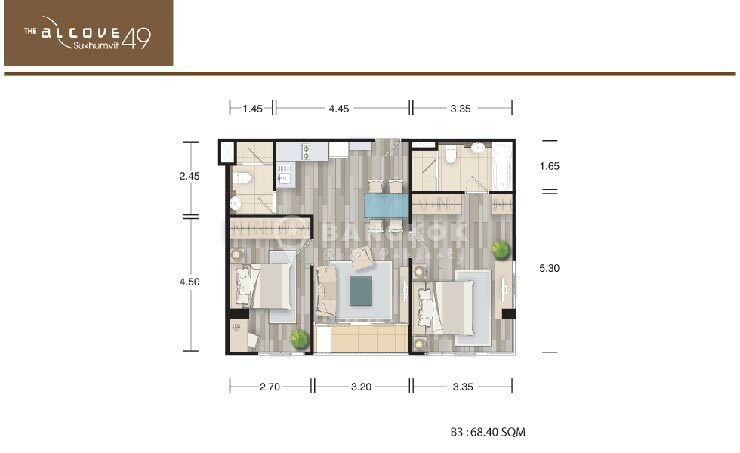 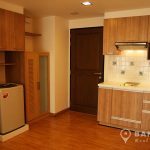 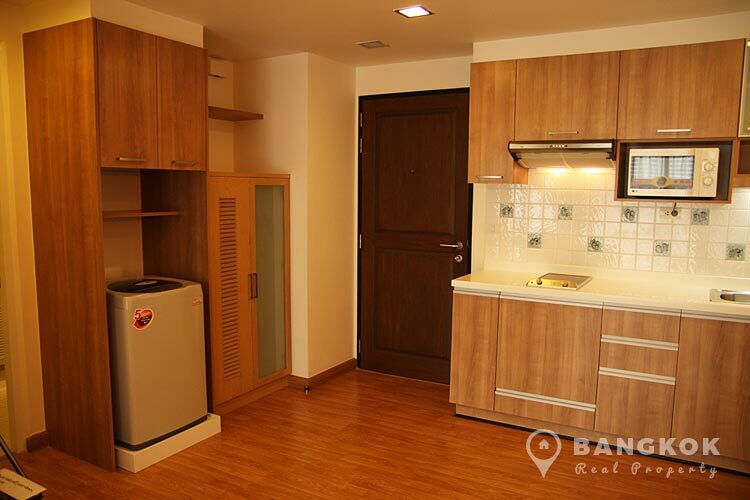 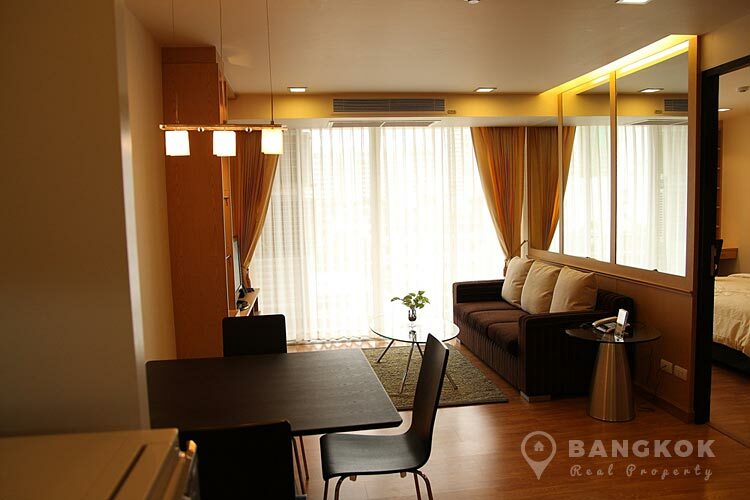 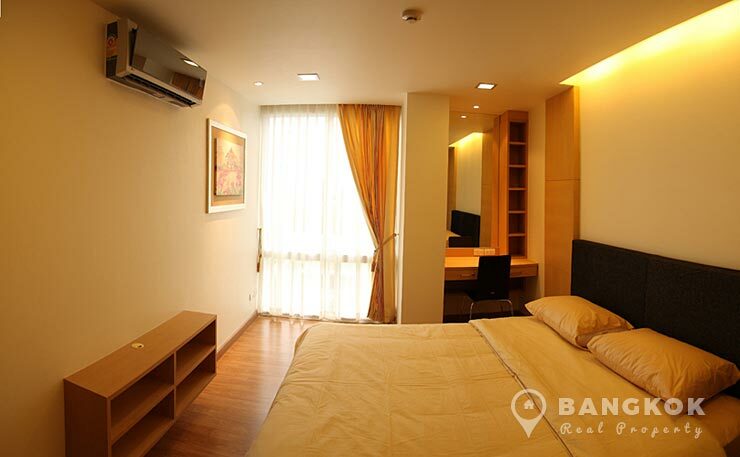 This well maintained low rise condo development is walking distance of the BTS at Thong Lo and offers residents easy access to many local restaurants, international schools and shopping including The EM District (EmQuartier + The Emporium), UFM Fuji, Villa Market and several international schools including Bangkok Prep. 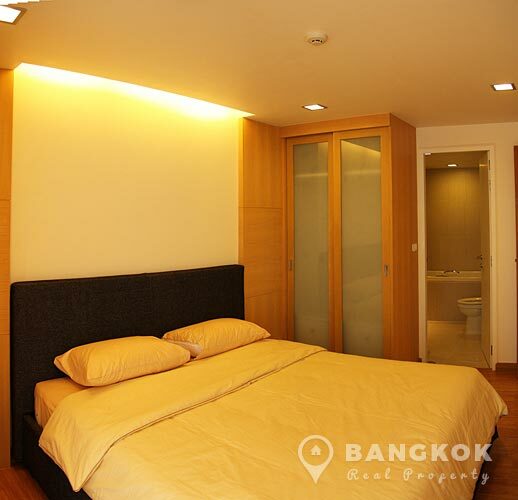 On a mid-floor of The Alcove 49, this bright, unit has 2 bedrooms, 2 bathrooms, 68 sq.m, large balcony with un-blocked views, modern kitchen with electric hob fridge-freezer, microwave and washing machine, tastefully furnished living accommodation, master bedroom with great storage and ensuite bathroom with bathtub and separate shower. 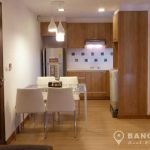 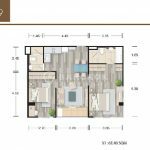 The Alcove 49 is a condominium project built by Samirano Property located just off Sukhumvit 49 just 10 minutes walk of Thong Lo BTS station. 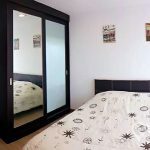 The Alcove 49 was completed in 2009 and the project consists of a single low rise building with 8 floors with a total of 55 units, a mix of 1 and 2 bedroom units.